Recognized for more than 27 years in the field, Mr. Sanders remains excited over the kind of work he contributes. Simply put, he writes engineering specifications for equipment for new plant construction. In addition, he performs technical evaluations to select new equipment for each new plant, creates and checks piping and instrument diagrams and leads the process safety and construction safety for projects. As a leader, he directs cross-functional teams through Microsoft Project plans software, manages scope, schedules and budgets for capital projects. His highly technical work is praised for his insistence on Management of Change and Commissioning and Validation Standards. In addition to completing projects for oil and chemical companies, he has also contributed to government projects. Mr. Sanders finds his job rewarding as the plants he helps build manufacture products that enhance the standard of living for mankind. To enter this field, he earned a Bachelor of Science in mechanical engineering in 1990 from Texas A&M University and made his focus on rotating equipment. In addition, he holds an Engineer in Training certificate. 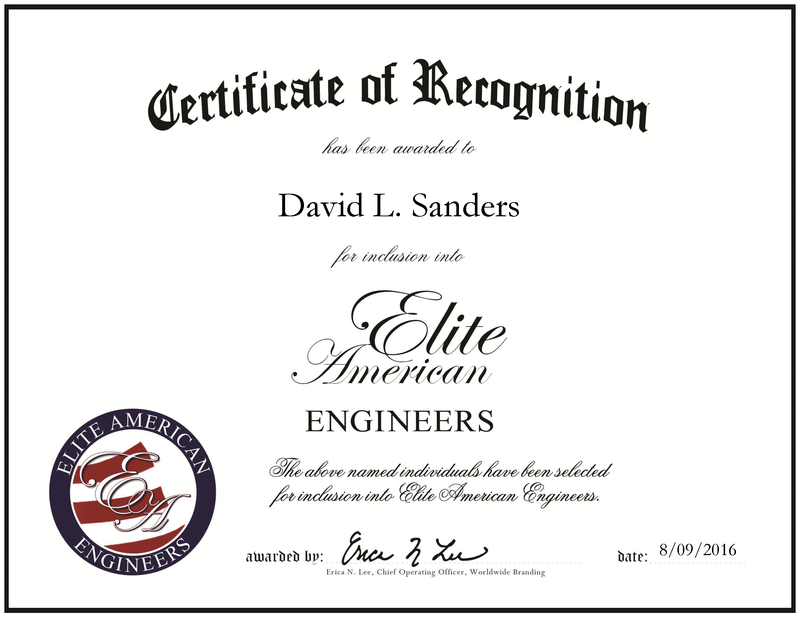 In order to receive this certificate, Mr. Sanders had to take an eight-hour exam and pass with a score of more than 70 percent. Another highlight of his career was writing the engineering specifications for a gas plant in Meeker, Colorado. He performed technical evaluations for it, as well as selected many of the pumps used. This entry was posted in Business Planning, Consulting, engineering design, Structural Engineering. Bookmark the permalink.